1/Lt Harry H. George had formerly been a pilot on "Anne Garry III" with Cpt Arthur M. Clay, Jr. 2/Lt James L. Hays was assigned from the crew of 1/Lt Jay K. Anderson. S/Sgt Melvin Warshaw was assigned from Crew #3910. 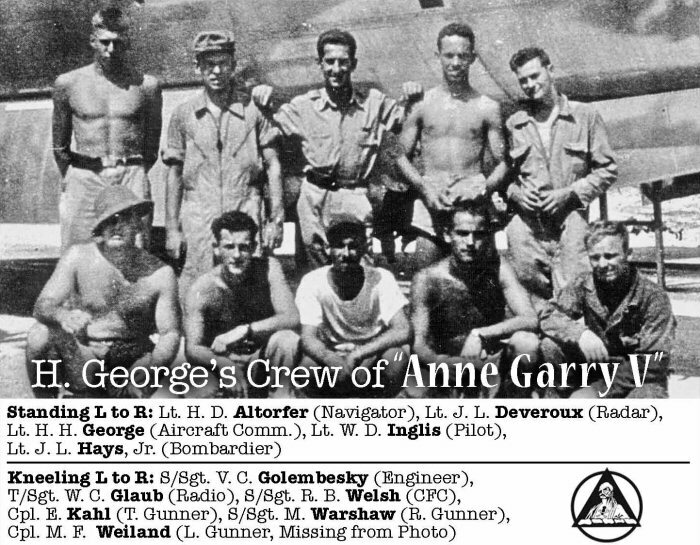 This crew flew "Anne Garry V".